How do I become a voice actor? Welcome to Kyle Hebert's Evil Lair...er...website. Go ahead, friend him, he won't bite. UPDATED CON APPEARANCES AND OH YEAH, I GOT MARRIED! Hey guys! Figured it was time for some sort of an update, seeing as it’s the end of February. Been a while, eh? Happy New Year! Hope you guys tune into Toonami every week for the awesome anime lineup. You can hear me as Gohan on DBZ Kai and Dragonball Super, as well as Kakyoin on Jojo’s Bizarre Adventure: Stardust Crusaders, Kiba and Inoichi on Naruto Shippuden, and various smaller roles on Hunter X Hunter and Mobile Suit Gundam: Iron-Blooded Orphans. Added a few new shows I’ll be attending, such as Collective Con, Anime Detour, and more on the way. Hit the APPEARANCE page for links to all the websites for more info. If you want to see me at your local convention, make sure to request myself and any other guests you’d like to see on that con’s social media. Or shoot them a nice email (one will suffice, spamming is a bad thing). Thanks, as always, for the continued love and support. 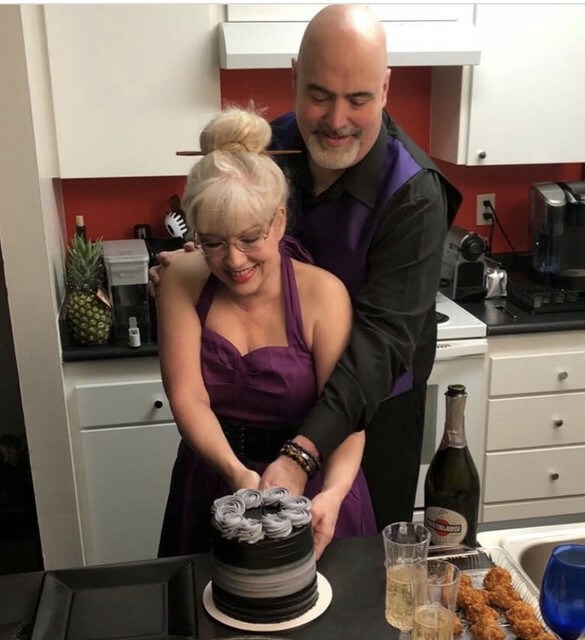 Speaking of love, I married my beautiful fiancee, Christina Louise, known online by her pen name, Ryter Rong, on Valentine’s Day in our living room. We had a brief 11 minute ceremony (we believe in cutting to the chase), which you can view in its entirety HERE. Hope you have an awesome day! Thanks to everyone in Virginia at Nekocon, this past weekend. That wraps up my con appearances for 2017. Meanwhile, Funimation recently announced the dub cast for the anime title, “Kabaneri of the Iron Fortress”. You’ll be hearing me as Kibito. If you’re in Southern California, LA COMIC CON is happening this weekend. I’ll be at my own booth, so make sure to swing by and say howdy! 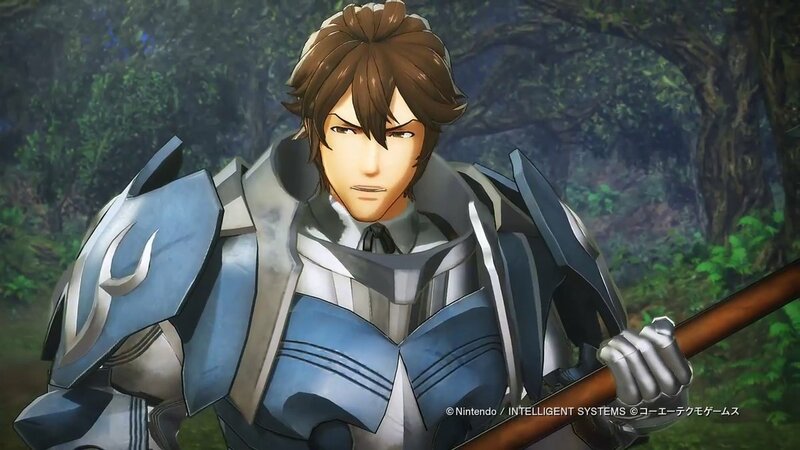 The latest “Fire Emblem” game, “Warriors”, is now out on the Nintendo Switch/3DS. I reprise my roles as Frederick and Validar. Been years, but I am stoked to return to Denver for Nan Desu Kan. At this one, I’ll be sitting in on a wrestling discussion panel with Erik Kimerer. Erik and I will also be riffing on obscure, bizarre anime shorts. And of course there’s the usual shenanigans. Hope to see ya there!